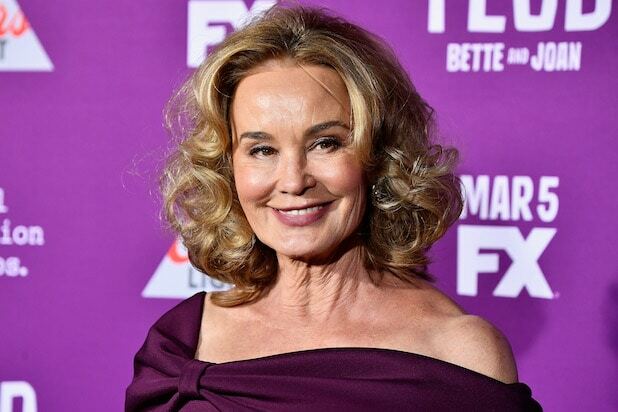 Jessica Lange is coming with Ryan Murphy to Netflix. The “American Horror Story” alum has been added to the cast of the prolific producer’s satirical comedy “The Politician,” TheWrap has learned. Lange joins a cast that includes “Dear Evan Hansen” lead Ben Platt, “Set It Up” star Zoey Deutch, Lucy Boynton (who stars with Rami Malek in “Bohemian Rhapsody”), Laura Dreyfuss (another “Dear Evan Hansen” actor) and newcomer Rahne Jones. Oh, and let’s not forget fellow Murphyland fave Dylan McDermott. Murphy will serve as writer, showrunner and executive producer on the project. His former “Glee” team — Brad Falchuk and Ian Brennan — will also write and executive produce. Details of the show’s plot haven’t been announced, but what we know is that the comedy will revolve around Payton (Platt), a well-off politician in Santa Barbara, California. Platt will get to showcase his Broadway chops with musical numbers throughout the show. Back in February, Murphy signed a multi-year overall deal with the streamer, which is reportedly worth as much as $300 million, to produce new series and films at Netflix starting July 1 (when his current deal at Fox is up). Meaning, Murphy will be long gone before Disney’s $52.4 billion acquisition of Fox’s studio and cable channel FX, among many other assets, goes through. No premiere date has been set for “The Politician,” which will drop globally on Netflix.